Prior to this year’s South by Southwest, most U.S. music fans were likely unfamiliar with the name Seasick Steve. But after an impressive parking lot performance, one which saw Jack White as an opener of all things, we’ve gotten ourselves more well-versed with the former hobo’s musical outings. 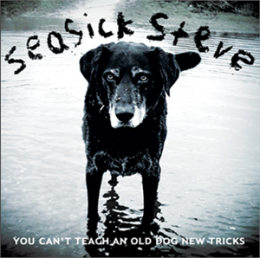 Now, a few months after his grand debut with White, Seasick Steve (born Steve Wold) is preparing to release his latest full-length album, You Can’t Teach An Old Dog New Tricks, this June via White’s Third Man Records. For those still unfamiliar with Seasick Steve, besides from being prone to nausea whilst on aquatic vessels, he’s a bluesman who plays a mean three-string guitar. 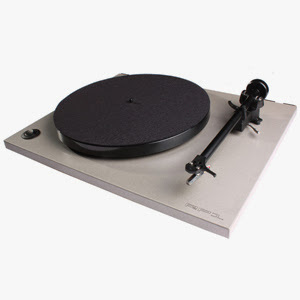 Matyas says that CDs are dying fast, but “vinyls (sic) are definitely making a comeback.” Carroll says that certain dedicated fans buy vinyl records. 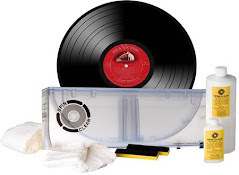 He estimates that about 10 per cent of their overall sales are vinyl, and while that number is on a steady rise, it’s done almost nothing to combat the rapidly declining overall sales. Concord Music Group will release six new titles in the Original Jazz Classics Remasters series on June 14, 2011. Enhanced by 24-bit remastering by Joe Tarantino, generous helpings of bonus tracks (many of them previously unreleased), and new liner notes that provide historical and technical context, the series showcases some of the most pivotal recordings of the past several decades by artists whose influences on the jazz tradition is beyond measure. "These six releases bring us to 20 titles altogether since the launch of the series in March 2010, " says Nick Phillips, Vice President of Catalog and Jazz A&R at Concord Music Group and producer of the series. "Each occupies an important place in any quality jazz collection." Recorded in September 1958 for Riverside, Chet Baker's In New York features saxophonist Johnny Griffin, pianist Al Haig, bassist Paul Chambers and drummer Philly Joe Jones. In addition to the half-dozen tracks from the original album, the reissue includes a bonus seventh track — "Soft Winds, " a blues composition written by Benny Goodman and Fletcher Henderson. The recording provides a glimpse of the trumpeter "coming off a run of popularity, critical praise, and commercial success the likes of which few musicians have known, " according to the new liner notes by Doug Ramsey. By the late '50s, Baker had won numerous awards throughout the decade for his instrumental work, and was even regarded as a romantic idol for his singing. "Baker had been somewhat pigeonholed as a West Coast cool jazz artist, " says Phillips, "but this recording illustrates that he was right at home playing with New York musicians — who dealt with their own stereotype of being harder edged and more aggressive. On this recording, they all seem to meet effortlessly somewhere in the middle." Of the ongoing tug-of-war between Baker's artistic successes and his personal battles with substance abuse, Ramsey adds: "It will be a long time before Chet's struggles with his demon are forgotten, but one day when the headlines have finally disappeared, the beauty of his music will still be shimmering in the air." Recorded at Contemporary's studios in Los Angeles in February and March 1958, Ornette Coleman's Something Else!!! features Don Cherry on pocket trumpet, Walter Norris on piano, Don Payne on bass, and Billy Higgins on drums. The first of two albums that Coleman recorded for Contemporary, Something Else!!! marks the saxophonist's debut as a leader. "He was a very influential but at times controversial artist, " says Phillips. "Right out of the gate he was doing something that was just so different from what people were used to hearing, " says Phillips. "Although structurally-speaking, the music in this recording is based on established song forms, you can hear very clearly that Coleman is starting to break free of the limitations of conventional harmony." Neil Tesser writes in his new liner notes that Coleman traced jazz back to its roots to rid the music of its increasingly elaborate harmonic structures and other constraints. "Without the limitations imposed by such harmonic patterns, his band would freely travel into, out of, and between musical keys, " says Tesser. "As Ornette said in the original notes, 'I think one day music will be a lot freer. The pattern for a tune, for instance, will be forgotten and the tune itself will be the pattern . . .' When he recorded Something Else!!! that day was still a little ways off. In these performances, you hear him in the last throes of unshackling the past." Recorded on Riverside in October 1959, Thelonious Alone in San Francisco was a sequel of sorts to Thelonious Himself, recorded two years earlier. In addition to the album's 10 original tracks, the reissue includes an alternate take of "There's Danger in Your Eyes, Cherie." "With Thelonious Alone in San Francisco, Monk proved that his earlier success as a solo artist was not a fluke, " says Tesser in his liner notes for the reissue. "And in rejecting all the 'rules' for playing without accompaniment — as he'd rejected so many rules before — Monk expanded the entire concept of the solo piano idiom. Without Monk's recordings as bedrock, it's hard to imagine similarly intimate (though otherwise quite different) solo albums that would eventually come from Bill Evans, Herbie Hancock, Keith Jarrett, Chick Corea or even McCoy Tyner." For as unique as Monk's style was, "he stayed pretty consistently within that style throughout the remainder of his career, " says Phillips. "That's not to imply that there was any lack of creativity on his part. Within the unique style that he established, there was so much to explore and develop. But he still sounds unmistakably like Thelonious Monk, no matter what chapter of his career you listen to." Know What I Mean? was recorded between January and March 1961, with bassist Percy Heath and drummer Connie Kay supporting the saxophonist and pianist. The reissue includes three bonus tracks that are alternate takes of "Who Cares?, " "Toy" (previously unreleased), and "Know What I Mean?". "This album takes two artists who were part of the legendary, historic 1958 Miles Davis Sextet and pairs them together, " says Phillips. "The modal approach that Evans was pioneering in the context of that 1958 group reveals itself in some of the material that he and Cannonball are playing on this album." Orrin Keepnews, who produced the original recording sessions, writes in his new liner notes for this OJC Remasters reissue, "One of the many advantages of working with a man like Julian Adderley was that he was totally stubborn about pursuing an idea he believed in. And, quite simply, he thoroughly believed in the validity of an album based on his moving very much in a Bill Evans–influenced direction." In his liner notes to the original recording, Joe Goldberg observes that while not all of the selections are ballads, an "aura of relaxation" permeates the recording. "In this instance it can be recognized as simply a matter of four highly skilled artists away from their usual tasks and delighting in one another's musical company, " he says. "Nothing more really need be said about the results of their meeting than that the feeling of delight comes through." Recorded in New York in February 1961 for Riverside, Explorations was the last album this version of the Evans trio would make in a recording studio. Bassist Scott LaFaro and drummer Paul Motian also appear on Sunday at the Village Vanguard and Waltz for Debby — both live recordings, released later in 1961 — but LaFaro died in a car accident shortly after the live sessions. This reissue features four bonus tracks, including previously unreleased alternate takes of "How Deep Is the Ocean?" and "I Wish I Knew." 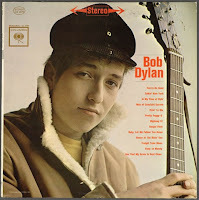 One of rock & roll’s most prolific songwriters, Bob Dylan has released a staggering 34 album covers over the course of his career. Here’s the original cover for each and every classic record Dylan has put out to date. In 1955, "The Ballad of Davy Crockett" was the most popular song in the United States. Billboard reported that if the sales of all versions of the song were all added up, including the original by Fess Parker, more than 18 million copies had been bought in six months. In 1966, Percy Sledge hit the top of the US charts with "When A Man Loves A Woman", a song that he improvised with his band one night when he was upset over a failed romance. A more polished version of the song was released in early April and became Percy's only US Top Ten hit. In 1966, Ike & Tina Turner released "River Deep, Mountain, High." The record will stay on the chart for just four weeks and stall at #88. Producer Phil Spector considered the song the high point of his production career and was so disappointed by its poor performance that he would go into seclusion for two years. 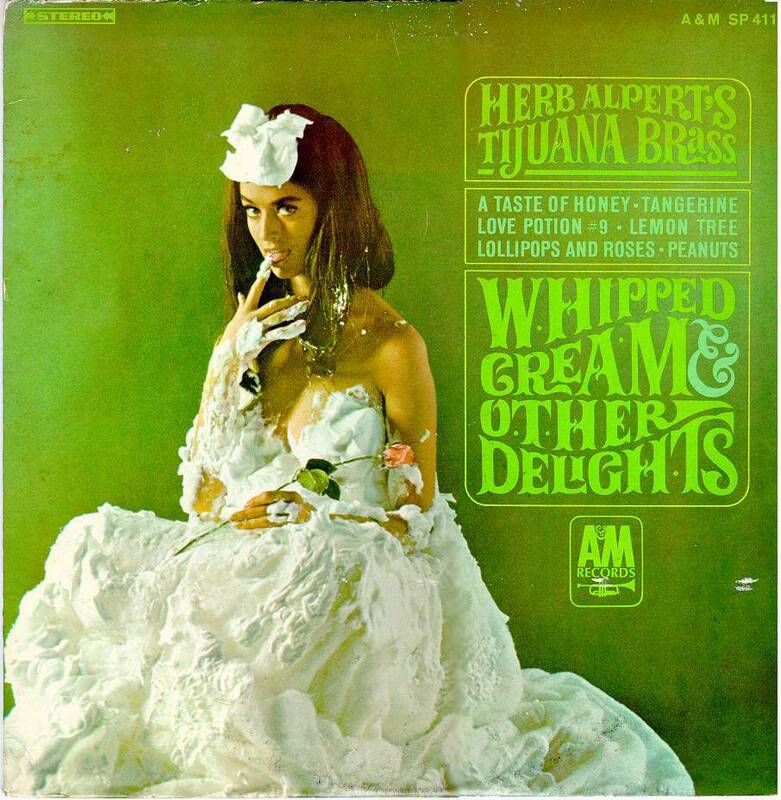 Also in 1966, Herb Alpert and the Tijuana Brass went to #1 on the U.S. album chart with What Now My Love, setting a new American record with four albums in the U.S. Top 10. The other three were South of the Border, Going Places and Whipped Cream and Other Delights. In 1976, the Allman Brothers Band temporarily disbanded after Greg Allman testified against Scooter Herring, his personal road manager, who was charged with drug trafficking. Herring was subsequently sentenced to 75 years in prison. An album of previously unreleased live material was issued later in the year under the title "Wipe the Windows, Check the Oil, Dollar Gas". In the two years that the band was apart, Gregg Allman married Cher, while Dickey Betts formed his Great Southern band. The song "Barracuda" was released by Heart in 1977. In 1983, actress and singer Irene Cara started a six-week run at #1 on the U.S. singles chart with “Flashdance... What a Feeling,” taken from the film Flashdance, and a #2 hit in the U.K.
Also in 1983, the four-day US Festival ’83 took place in California, featuring The Clash, U2, David Bowie, The Pretenders, Van Halen, Stray Cats, Men at Work, Judas Priest, Stevie Nicks, Willie Nelson, INXS, Joe Walsh, Motley Crue and Ozzy Osbourne. Over 750,000 fans attended the festival. In 1995, 1995, Hootie and the Blowfish started a four-week run at #1 on the U.S. album charts with Cracked Rear View. The album went on to sell over 15 million copies.